← How to convert MS Office Word documents of doc to jp2? If you want to go directly into the content of a pdf, you won’t see so many collection features when opening a psd file. 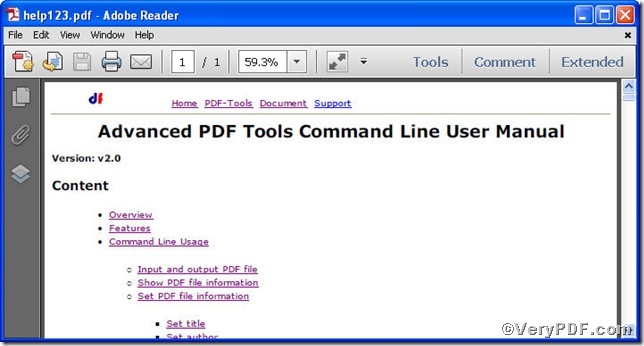 You are allowed to do some edit to disable the collection feature by using Advanced PDF Tools Command Line. It is easy and fast to operate, you can experience by following the below steps. do remember to extract it, for it is a zipped package. -S “collection=true” : Disable collection feature for attachments. 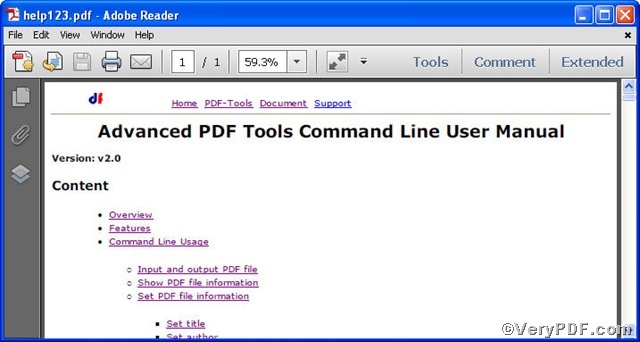 There are plenty of wonderful functions on editing pdf file, you can read Advanced PDF Tools Command Line User Manual or just visit at www.verypdf.com for more surprises. How to edit PDF property? How to remove pages from PDF and insert new blank page for further editing? This entry was posted in Advanced PDF Tools and tagged Advanced PDF Tools Command Line, command line. Bookmark the permalink.